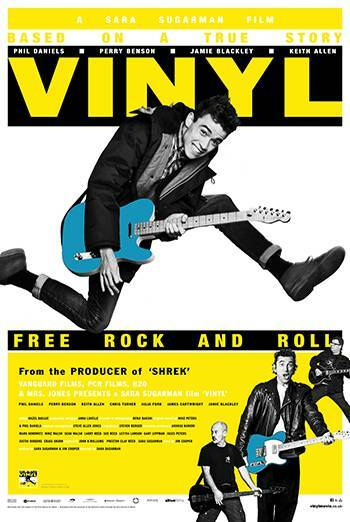 VINYL is a British comedy about an aging punk band who resort to desperate methods in order to get a single in the charts again. The film contains several uses of strong language ('f**k'). The film also includes sight of drug smoking as part of the establishment of the lead character's nature, including a scene in which he and a woman smoke from a bong. There are infrequent references to sexual activity. This includes talk about experiences with 'groupies'. In one scene a man takes a Viagra pill and shows off his resulting erection, but this is masked from view.